With keyless locks you can program individual codes for specific users, deleting a user at any time. For those who wish to reinforce the security of their belongings, keyless entry locks can be added to interior doors securing the collection in the wine cellar or sensitive information in the office. 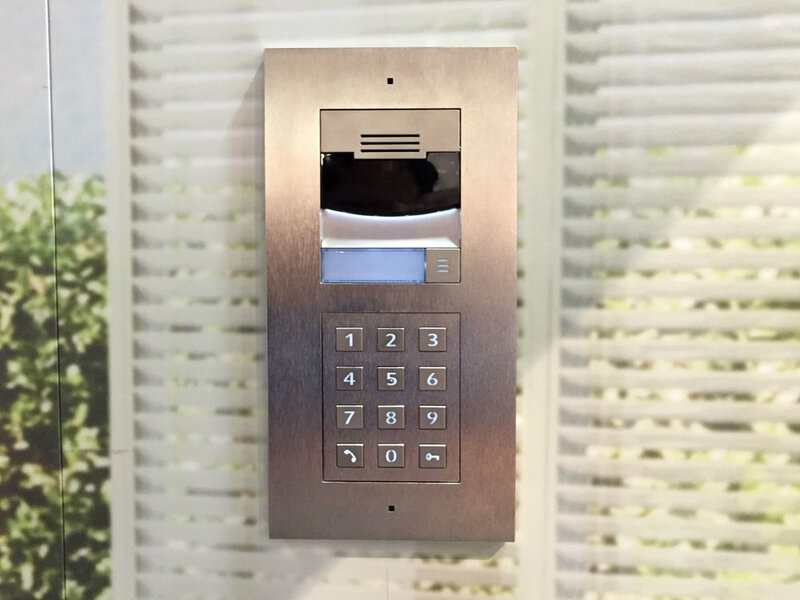 Access control technology ensures the security of your home while providing easy entry for approved visitors. You no longer need to be home to grant entrance to your property. Using an app you can grant entrance from anywhere in the world. Combined with surveillance you can view who is trying to enter, grant them access if you wish, and re-secure your home once they are finished. For example if you are expecting a delivery you can confirm it is the company you were expecting, open your garage and watch them make the delivery and then close the garage when they leave. When integrated with a home automation system, you can take it a step further. By opening the door you can launch programmed commands so the house adjusts to your preferences. Imagine – lights go on, music begins and temperature rises automatically as you enter your home. Talk to your systems designer about the security and convenience features of access control systems. To learn more about access control, please fill out the form below.